Tenacity by Danielle Corcione is a self-published chapbook. Consisting of ten poems, each in one stanza with three to seven lines, this short read captures some of life’s most intimate and simple moments. Beautifully written, each poem lingers beyond the page as a permanent imprint of life. As a self-published work, this chapbook was brought into being through Corcione’s own tenacity to trust in her creation. I asked Danielle some questions about writing, travel and life. How has poetry been a part of your life? Has this been a recent writing adventure or a long-term love? I’ve been writing ever since I can remember. I recall in sixth grade, I separated a notebook exclusively for song lyrics. Growing up, I wanted to be a musician, but it turned out my talents were on the lyrical side. I didn’t think of myself as a serious writer until studying literature in college, though. I was around so many creative, talented writers and felt inspired by sharing a community with them. I still maintain this notebook habit, but it’s a little more overly-organized. I think I have four separate notebooks right now for journaling, poems, journalism, and nonfiction book proposals. Each one of your poems is concise and melodic at the same time. What made you decided to write the short form poetry that is in Tenacity? I’m a fan of shorter poetry, because I like to tell a story in as few words as I can. It’s a new form I’m working with. I also wanted this work to be accessible to those who might not typically pick up poetry. It’s short, but you can choose to finish it in a few moments or think about each one for hours, days, etc. Does each poem come from a larger story? I don’t have an encompassing theme for every single poem, other than my life. However, some were inspired by my current relationship and my new landscape in the Midwest. For instance, I talk about “round hay wheels” in one poem, and I distinctly remember a moment where I asked what those were, what purpose they served. They’re actually pretty heavy, that if you were to crash into one on the side of the road, you’d wreck your car. How do you feel your travels have influenced your writing? My travels definitely influence not only my poetry, but my writing. There are a few images that might not be unique to the Midwest in my chapbook, but are definitely different to where I grew up. Earlier this year, Page & Spine published “A City in Karnataka”. I wrote that poem as I experienced each moment in Bangalore. For instance, I remember a blind man crossing a busy city street, tapping car hoods to get by. I’ll never forget that. So I’d say striking moments like that inspire me. Choosing to publish your writing independently can be a lot of work. Why did you chose to self publish your poems? What was the process? The process was informal, since I’m primarily printing out the books myself at home, DIY-style. It’s like a zine. I started writing a manuscript while abroad a year ago with different poems to those in my chapbook. Most publishing houses charge submission fees for your chapbook to be considered for publication, and of course it’s incredibly competitive. I was deterred from that process. I might be interested in that route in the future, but right now, I’m young and I want to get my work out there to anyone who wants it. I want to be able to go to readings and have physical copies of my work, although I intend to continue submitting poetry for online publications, too. Plus, right now, I’m focusing primarily on creative nonfiction and journalism. Poetry will always be in my life, but right now, it’s not a primary focus. This was a fun project I went with, and I use my website as a platform to sell it. What advice do you have for other writers who want to publish their own pieces? 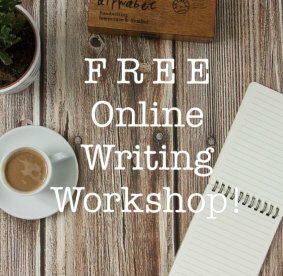 There are ways to monetize your writing. Starting a blog, posting poetry on Tumblr, even writing for free — those are things anyone can do to grow their following. That’s how I got started as a teenager and during college. However, never underestimate your worth; people will want to pay for your writing if you are dedicated and talented. I work at a marketing firm as a copywriter by day, and am a freelance writer by night. I’m incredibly privileged to be doing what I love all day and constantly be growing. I always feel a sense of ‘imposter’s syndrome’ and likely always will, so sometimes I even need to be reminded of my own value. You can also manage writing on the side (even for pay) if it’s not necessarily your priority.